In business, it is critical to be in continuous touch with clients in this digital world. With updating technology, there are many creative ways for effective communication and save money by the phone companies in Miami. Many innovative phone systems have been developed to empower businesses with active real-time communication for saving time and avoid any frustration. The business environment today is entirely different from the business environment a few decades ago. With the advancement in communications technology and the internet, the companies have introduced various resourceful ways for business and employees to work. The Internet has eventually transformed communication and telephone service. Choosing the correct telephone services for your business has a major impact on the productivity of your employees and business benefits from it largely. There are various ways to compare VoIP phone system and landline phone system. 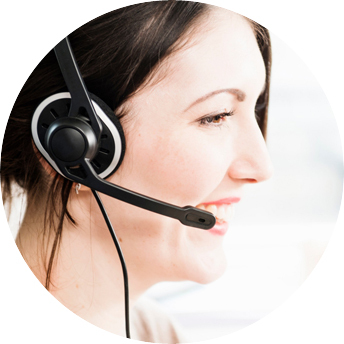 VoIP phones offer a number of features such as virtual receptionist, automatic call forwarding, video calling, three-digit dialing, and call recording whereas landline phones offer only the basic feature of connecting two people on the line. In addition to this, with plentiful VoIP users, there are many advanced features offered by the voice over IP service providers. The VoIP phones due to their ability to work across multiple office locations, and on various devices like mobile devices, laptops, systems simultaneously has made them the first preference of business owners of every size. The cloud VOIP is significant for businesses operating across borders and makes the information sharing secure. Business VoIP system has an edge over the landline phone system because of their reliability and consistency. Moreover, the high-speed internet service providers are continuously improving their offerings, to make the communication flow smooth. Internet service providers or VoIP companies are coming in different ways to meet the needs of businesses and ensure that the connection is protected. In addition to this, the cost of VoIP is very less as compared to traditional landline phone service. In traditional phone system, installing a private branch exchange (PBX) to have multiple landline phones in an area or office is a costly, cumbersome procedure and a physical piece of hardware lives on-premises which occupies space too. While VoIP service phones not only eliminates this initial outlay, and their maintenance costs and added services makes them an inexpensive proposition for startups, small businesses and business owners looking to grow their business.